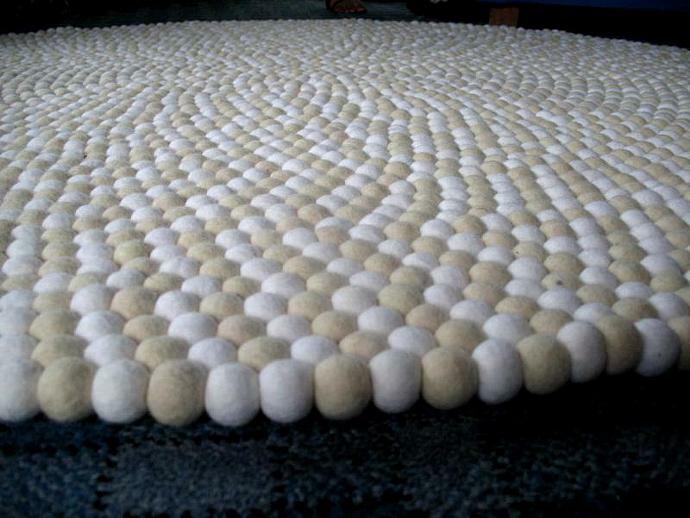 150 cm diameter handmade Felt ball rug for your Living Room, Bed Room, Children room. 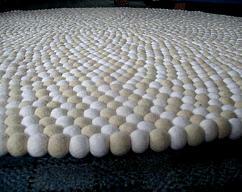 The rug is made from 100% sheep/ yak mix wool and completely natural. 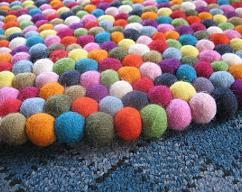 Each ball is made using hand, and sewn together by very strong Nylon string to create this beautiful looking rug. 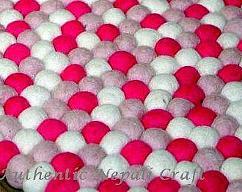 The item will be shipped using Aramex and takes around 3-5 days for delivery.